visit the store Bruges: the Grail city? by Philip Coppens Many towns have laid claim to owning a, if not the, Holy Grail. Amongst all the candidates, one interesting town is Bruges, the Flemish city often referred to as the Venice of the North. The reason why Bruges should be considered of more interest than other contenders is because of the fact that the first Grail romance was written by Chrétien de Troyes, who worked in eastern France under the patronage of Countess Marie de Champagne (1145-1198) and her husband Philip of Alsace, Count of Flanders (1141-1191). 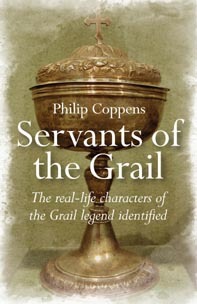 The account states that Chrétien found the story of the Grail in a manuscript supposedly given to him by Philip of Alsace. The story of Bruges’ connection to the Holy Grail – or, to be precise, the Holy Blood – starts when Philip of Alsace’s father, Thierry of Alsace, had been bequeathed the Holy Blood of Christ. It was his reward from Baldwin III, the King of Jerusalem, for his bravery during the Second Crusade. Thierry went four times to the Holy Land, the second time in 1147 during the Second Crusade. He led the crossing of the Maeander River in Anatolia and fought at the Battle of Attalya in 1148. After arriving in the crusader kingdom, he participated in the Council of Acre, where the ill-fated decision to attack Damascus was made. He participated in the Siege of Damascus, led by his wife’s half-brother Baldwin III of Jerusalem, and with the support of Baldwin, Louis VII of France, and Conrad III of Germany, he lay claim to Damascus; however, the native crusader barons preferred one of their own nobles, Guy Brisebarre, lord of Beirut, but in any case the siege was a failure and all parties returned home. Despite such failure, Baldwin III apparently gave him a precious relic, containing the Holy Blood of Christ, which he apparently donated to the Flemish city of Bruges in 1150, a town where he had found sanctuary during a previous military campaign. The relic has remained in Bruges to this day, even though in times of war, it often had to be secreted away. Still, could it be that one of the most intriguing legendary artefacts has been on public display for centuries? Any tourist is hard-pressed to notice the double chapel that is almost squashed in one corner of the “Burg” square and where the Holy Blood is kept. On first sight, it appears to be an ordinary – though old – house. This is because the original façade was destroyed in the aftermath of the French Revolution. The staircase leading up to the upper chapel equally inspires little anticipation one is climbing towards a religious sanctuary… of the Holy Grail. Though constructed in the 12th century, the site was only promoted to the rank of basilica in 1923 and many prefer to refer to it as a chapel, rather than a basilica. The lower part of the church is dedicated to Basilius and has preserved its Romanesque style, so typical of churches constructed during the 12th century. The dedication to St Basilius the Great occurred during the life of Thierry of Alsace, when bones of the saint were brought back from Caesarea by Robert II of Jerusalem, Count of Flanders. Few of the original decorations remain, but amongst them is a tympanum, sculptured in half-relief, and thought to represent the baptism of St Basilius. Double chapels as such were not unusual for the 12th century, but what is most unusual, is that both floors are completely independent; normally, the upper floor opened up a view to the nave. The two levels were there so that ordinary citizens and nobles remained separated even in their religious activities. But in the case of Bruges, it is clear that both social classes even had separate services. The upper floor was originally built in the Romanesque style too, but was changed completely in the 15th century, and again in 1823. It explains the sumptuous colours and decorations, so much in contrast with the lower chapel. But however beautiful the stained-glass windows are, they are relatively modern, the original ones removed after the French Revolution, whereby some of these were sold off and are currently on display in the Victoria and Albert museum in London. 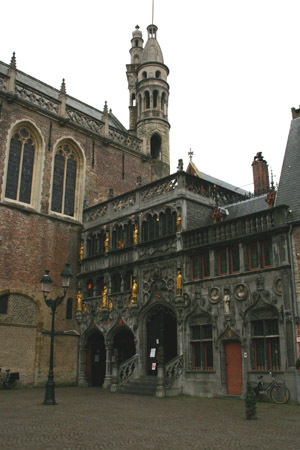 If the Holy Blood had arrived in Bruges in 1150, the chapels might indeed have been purpose built for this relic. But that is not the case. In fact, the “Precious Blood” is preserved inside the silver altar in the right-hand side section of the upper chapel. This annex, known as the chapel of the Holy Cross, was constructed at the end of the 13th century; the extension was required because of the popularity the relic and the pilgrims and visitors it attracted. Indeed, despite what the history of the relic states, there is no evidence for its presence in the town as early as 1150 and the new deed of foundation of the chapel of Saint Basil in 1189, drawn up by Philip of Alsace makes no mention of the Holy Blood. It is now believed that the relic was actually recovered during the Fourth Crusade (ca. 1204) and its origin is believed to have been Byzantium. The earliest reference to the relic being in Bruges dates from 1256. The bottle of rock crystal itself has never been opened, but is believed to date from the 11th or 12th century. Experts are almost certain that the bottle was made in Constantinople, and that it was in origin a perfume bottle. Some have even argued that the Crusade was diverted to Byzantium to sack the city and retrieve its horde of precious relics, which could then be shipped en masse to Western Europe. So even though it might mean that the history of the relic is therefore erroneous, it does not, by default, disqualify it as a genuine relic believed to have been the Holy Blood. But, most interestingly, it is the Church itself who often highlights that the Bible itself has no evidence – i.e. the Gospels make no mention of it – that the blood of Christ while he was hanging on the Cross was ever collected, or that any of his circle ever cared for such relics. Despite this cold attitude of the Church towards any Holy Blood and the evidentiary contradictions about the relic’s presence in Bruges in 1150, the Holy Blood itself remains revered throughout the year, and even more so during the Holy Blood Procession, which, since the late 13th century, has been held through the streets of Bruges on Ascension Day, at 3pm. It was known to have been one of the most sumptuous processions in the world. Chrétien de Troyes’ Grail account postdates the legendary arrival of the Holy Blood by approximately 25 years (1150 to 1175). Interestingly, Chrétien lists a knightly and royal tradition surrounding a precious relic, carried in a procession. Did his master desire a romance that displayed his relationship to the Holy Blood and the city of Bruges? For it is a fact that in the Procession, several nobles participated. The same applies to the fact that a group of 31 men, under the chairmanship of the dean, all of whom had to reside in Bruges and who were “honourable”, protected the relic. 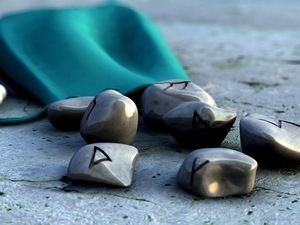 The organisation continues to exist today and a number its members are still of noble origin. Though this could therefore be the famous “Grail Brotherhood”, the only problem is that the fraternity is known to have only been incorporated in the 15th century, much too late for any mention in Chrétien’s account. Is this Holy Blood of Christ the source of Chrétien’s Grail? The answer is “no” – even though, on first appearance, it seemed to have all the necessary ingredients and met many of the requirements. 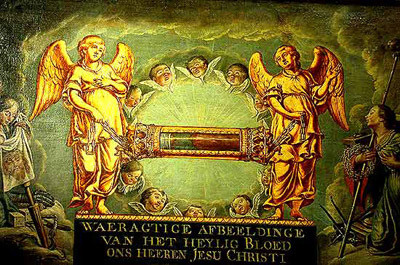 But whatever the Precious Blood is, the Papal Bull Licit, dated June 1, 1310, confirmed something of great interest about this relic. The Bull specified that each Friday noon, drops fell from the Precious Blood. Since that time, however, this phenomenon – the clotted blood returning to its liquid form – has never been observed. The only exception was in 1388, when a bishop, sent by Pope Urban VI, placed the crystal phial in the gold-framed cylinder in which it still sits today. So, whatever this relic is, it is not without intrigue. That, of course, might be precisely why it received such an important cult in the past and continues to attract devotion to this very day.